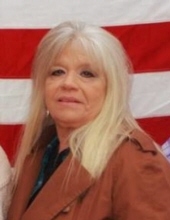 Visitation for Rhonda Jean Bell Farmer, 62, of Gladewater, TX will be held 6:00 until 8:00 PM on Tuesday, April 16, 2019 at Croley Funeral Home in Gladewater. She passed away Friday, April 12, 2019 at her residence. Cremation arrangements are under the direction of Croley Funeral Home. Rhonda was born on July 12, 1958, in Grenada, Mississippi to Charles and Betty Bell. She was known to have a green thumb and loved to garden. Rhonda was always willing to lend a helping hand to anyone in need. Rhonda is survived by her companion, Steve Thorpe, mother: Betty Bell of Picayune, Mississippi, son: Christopher Lawrence Empie and wife Jolene of Longview, daughter: Tina Allen Nixon and husband Aaharon Joshua of Dallas, sisters: Joy Stroup of Grenada, Mississippi, and Lisa Garcia of Picayune, Mississippi, grandchildren: Desirea Octavia Empie, Christopher Alan Empie, Daniel Storts, Nathan Reaper II, and Eric Reaper,Miranda and Makayla, great grandchild: Ezio Storts and numerous nieces and nephews. She is preceded in death by her father, Charles L. Bell. To send flowers or a remembrance gift to the family of Rhonda Farmer, please visit our Tribute Store. "Email Address" would like to share the life celebration of Rhonda Farmer. Click on the "link" to go to share a favorite memory or leave a condolence message for the family.